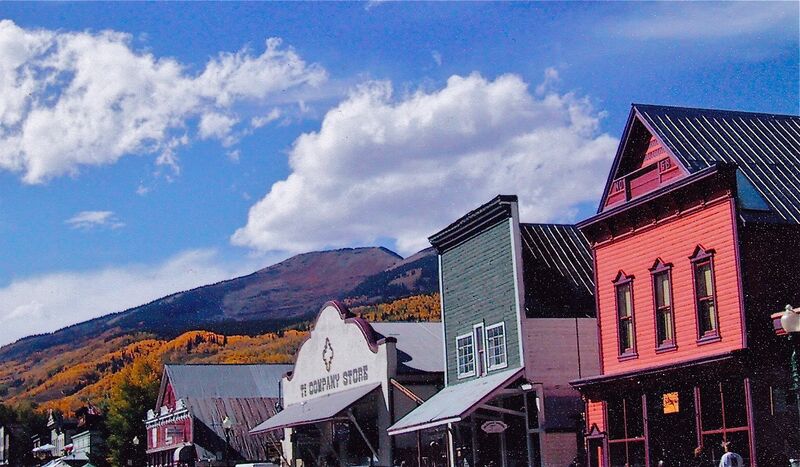 Crested Butte, CO. Although the silver and coal miners didn’t pick the pretty colors, they built some cute buildings back in the day. 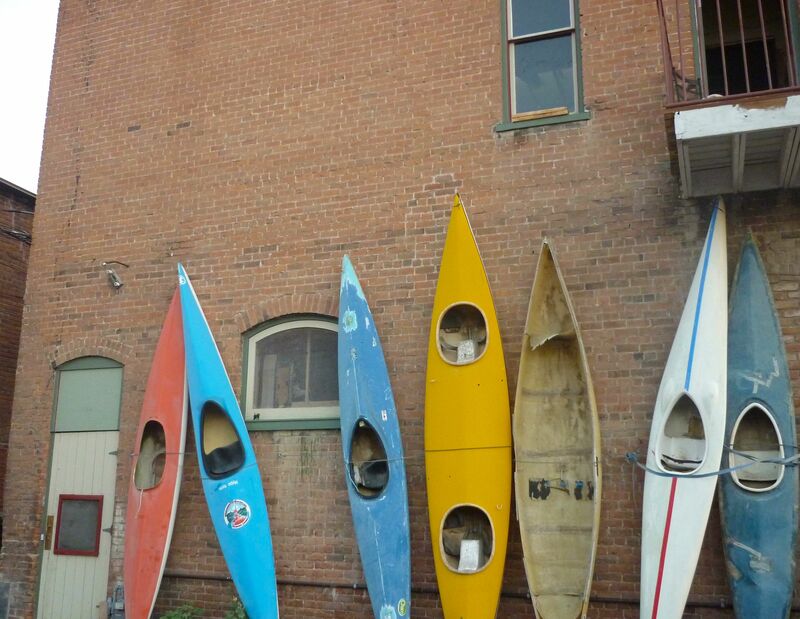 (And, surely, they referred to them as “cute.”) Colorado mining towns make me smile. Their historic districts, many of which have been restored, offer nostalgia and postcard ready photos. Dr. Suess. 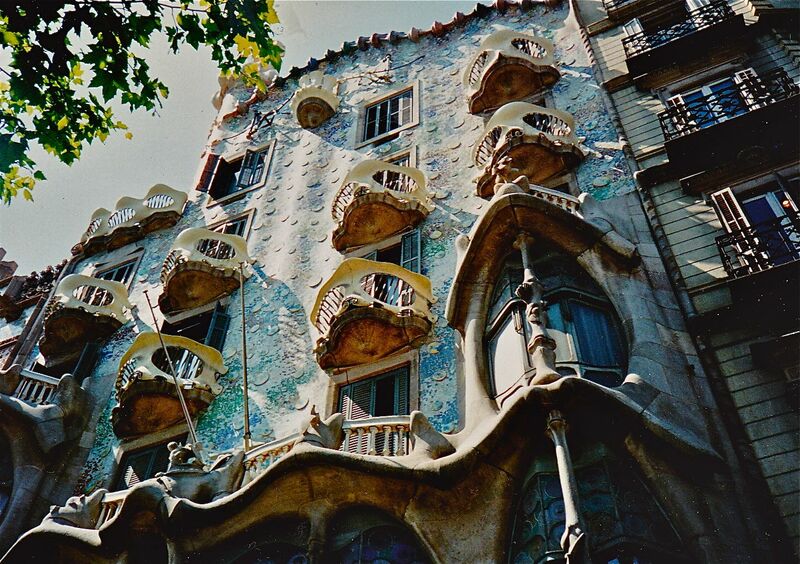 That was my first thought when I saw Antoni Gaudí’s buildings in Barcelona for the first time — especially Casa Batlló (above). After seeing Gaudí’s creations, I started paying more attention to architecture. These marvelous structures capture imagination. I love them. They also capture memories — especially the special cathedral, La Sagrada Família, which reminds me a drip castle that you can make at the beach by letting wet sand dribble from your hands into a pile. All three buildings featured in these photos are part of Gaudí’s works listed as World UNESCO Heritage Sites. Pura Taman Ayun Temple — or the Royal Temple of Mengwi in Bali, has structures that remind me of neatly groomed bonsai trees. I realize that does not sound technical, but who wants to sound technical when talking about such a spiritual and serene place? 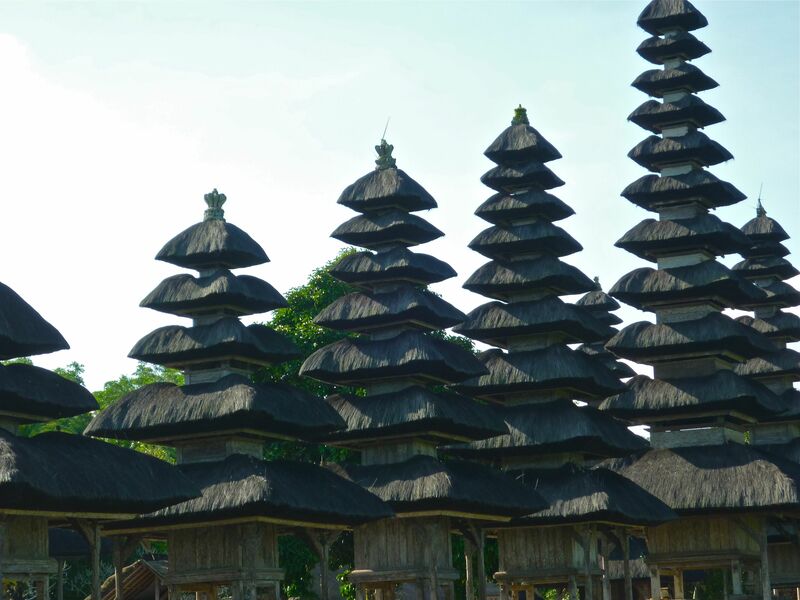 Balinese Hindu Temples have a calming effect — especially since the settings for many of these religious sites involve water. This beautiful open-air temple complex includes a moat, garden, terraced courtyards and holy shrines. 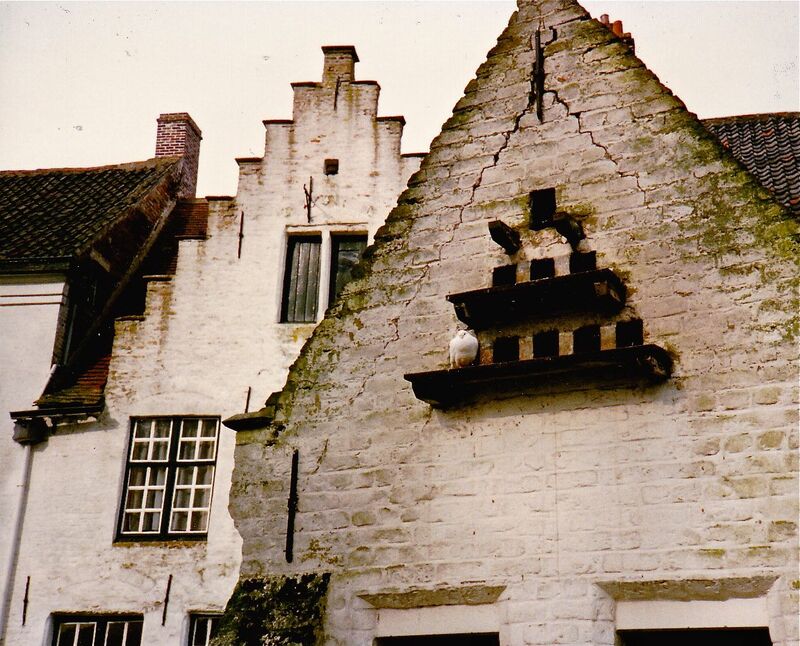 Gimme Shelter — Enchanting Medieval Buildings and Swans, Too?! Just to clarify, I did not put the swans in the canal for this shot. 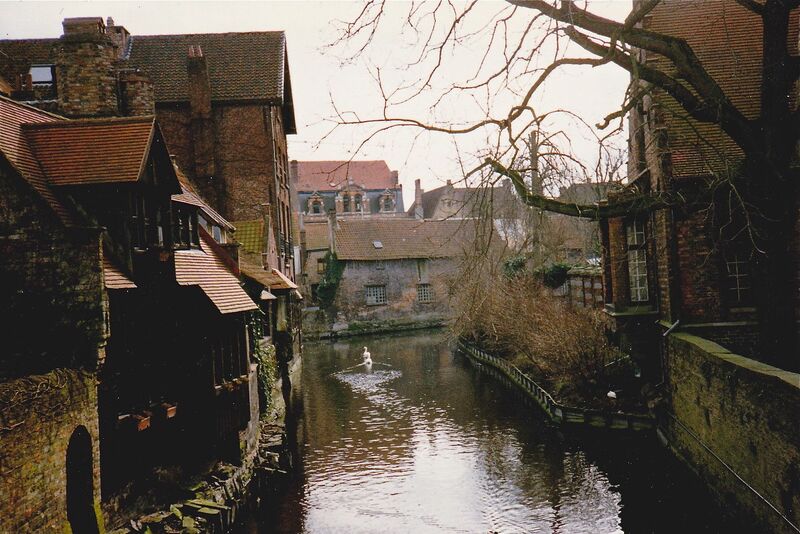 They swam into view just to prove what a fairytale setting Bruges/Brugge really is. 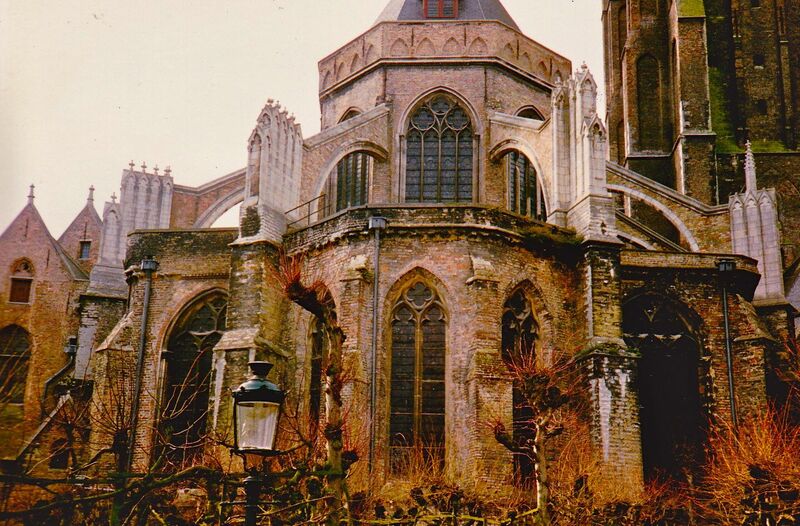 I don’t use adjectives like “charming” and “enchanting,” but you really have no choice when talking about this beautiful medieval Belgian city. It is charming and enchanting — however, maybe not as “happily ever after” when it was the setting for the 2008 film “In Bruges” with Colin Farrell and Brendan Gleeson. Actually, it was still enchanting even in the dark comedy. Gimme Shelter — Cool Structures: Can I rent a Rubik’s Cube? These cool buildings are in Rotterdam. I came across them while I was updating a chapter on The Netherlands for a travel guide in 1995. 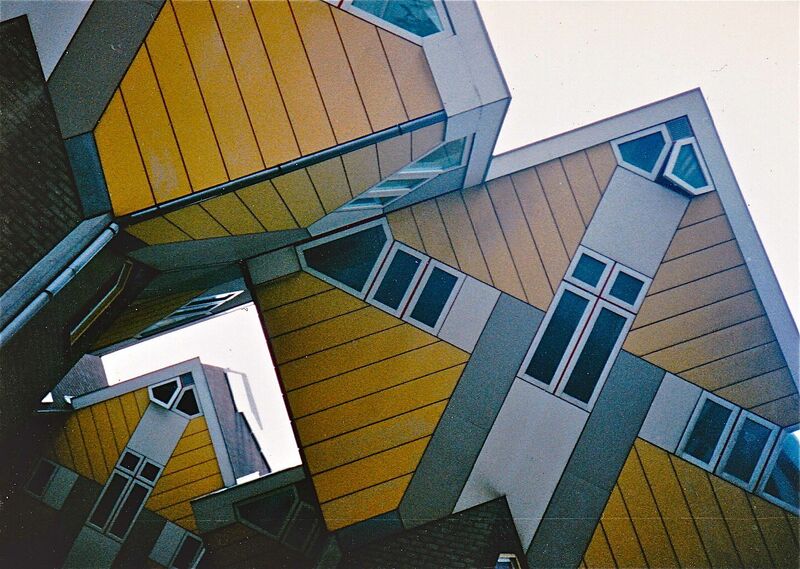 Known as “Kubuswoningen,” this neighborhood of cube houses, designed by Dutch architect Piet Blom, definitely are a tourist attraction. 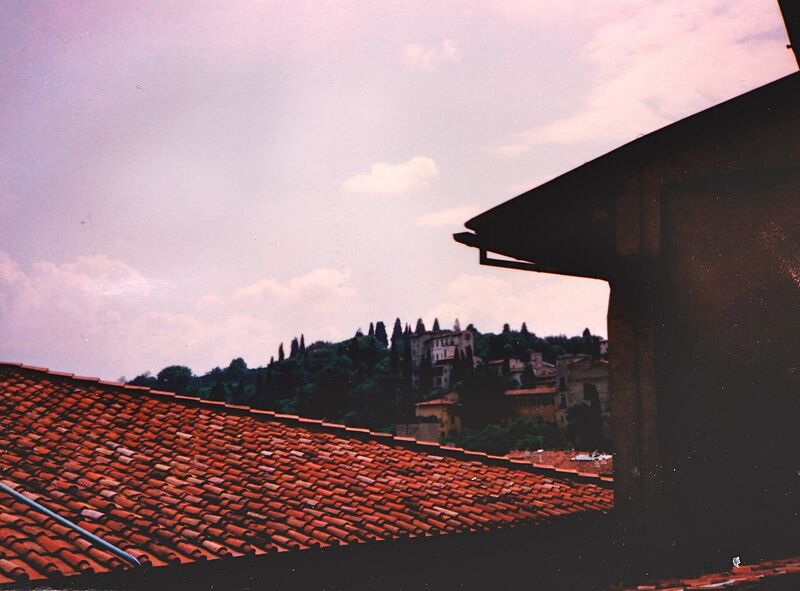 Travel Oops is introducing another new feature — it’s not actually about Oopses, either. 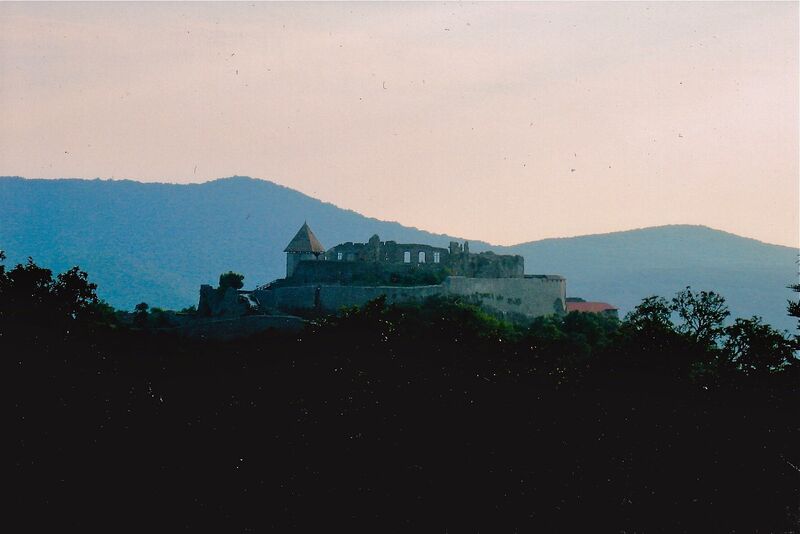 I wanted to include photos of architecture in the blog, since buildings can be such beautiful sights. So here’s the first cool building to feature: Uspens ky Assumption Cathedral Kiev-Pechersk Lavra, in Kiev Ukraine. 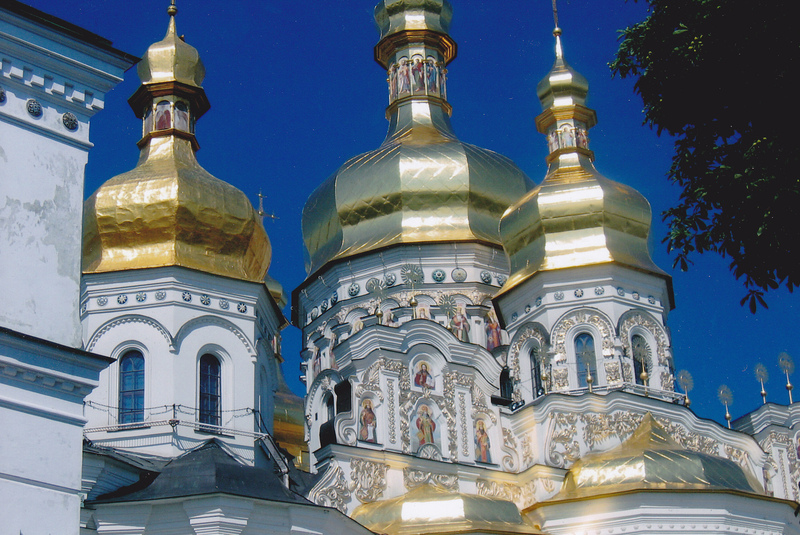 This is one of the many gorgeous cathedrals in Kiev. The golden onions are so striking especially against a vivid blue sky. Because of seeing so many 1980s movies with Soviet villains and sinister settings, I was constantly amazed at the beautiful colors I saw in Kiev when I visited in 2006. You almost go there with the impression everything will be grey, steel, cement and dark. Or course there were the Soviet cinderblock buildings, but the wonderful sensory details are so prominent in Ukraine.